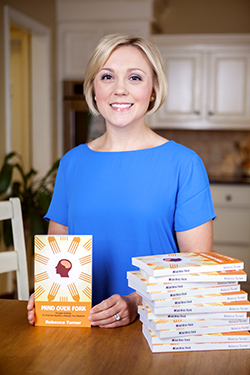 Rebecca Turner is a registered dietician, radio talk show host, television presenter and author of Mind Over Fork. She encourages everyone to take a different approach to their health so it doesn’t become burdensome. Many of us start off each year with great intentions for ourselves. We join the gym, we begin the latest diet trend, we meal prep and we know that this is going to be THE YEAR that we lose the excess weight. Except most of the time, we are disappointed when we end up gaining more weight by the end of the year and beat ourselves up for eating sweet treats during the holidays. So why are we in this cycle? It should be easy to want to be healthy, shouldn’t it? But for so many, it’s simply not easy. So many people fall into the “quick fix” trap. Because we want our cake, and we literally want to eat it too. It’s no wonder that Marketdata Enterprises, a market research firm, reports that Americans spend more than $60 billion annually on gym memberships and weight-loss programs to try and shed the extra pounds. But what if we could drop all of the fad diets, eat what we want and live a healthy life without worrying about everything we consume on a daily basis? Rebecca Turner of Terry, Miss., a registered dietician, says that we can and should drop the trendy diets. In fact, she pleads with everyone that will listen to cut out the “dumb dieting” decisions that we all too often make. She affirms that when we cut out food groups and go on diets that shed weight fast, we are actually doing more harm than good to our bodies. Turner has offered some useful tips and would like to challenge the way we all think about food in 2019. According to Turner, for those that already have a Body Mass Index (BMI) that labels them overweight or obese, just a 10 percent reduction of weight can significantly reduce the risk and complications from chronic disease. The weight loss recommendation can help in lowering blood pressure and preventing diabetes and cancer. So just what does 100 calories look like? For example, a 12-ounce regular soda contains approximately 140 calories. Depending on how tea is sweetened, eight-ounces of sweet tea has 70 calories. One tablespoon of mayonnaise and rich dressings also contain many calories. So many of us succumb to fast-food windows for dinner. Long days and long commutes, kids’ ballgames, church activities, play practice, dance and family obligations; all of these things lead us to the dreaded intercom and we find ourselves at the window purchasing greasy sacks of processed food. 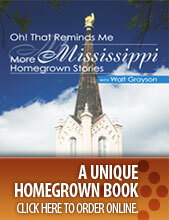 Unfortunately, the average Mississippian lives approximately 27 miles from a grocery store that sells fresh food items. Convenience foods are targeting those in areas like Mississippi that have what are called “food deserts.” For many Mississippians it’s challenging to make some of the healthier food choices, but Turner wants us to do what we can in terms of making better decisions and not letting these obstacles limit our ability to make better food choices. Turner is a graduate of the University of Southern Mississippi. She is a registered dietician, nutritionist and a certified specialist in sports dietetics with the Academy of Nutrition and Dietetics. She is the author of “Mind Over Fork.” Her book is a documentation of her personal discovery and relationship with food. She hosts a radio show on SuperTalk Mississippi, “Good Things with Rebecca Turner.” She is a television presenter on Mississippi Public Broadcasting’s healthy eating show, “Fit to Eat” and the Emmy Award-winning children’s show “Ed Said” and often appears on WLBT/FOX 40-TV as a wellness expert. For more information, videos or to contact Rebecca Turner, visit www.therebeccaturner.com.